NORMAN, OK (AP) – Seventh-ranked Oklahoma has won three Big 12 championships in a row while Conference USA champ Florida Atlantic carries a 10-game winning streak into 2018. 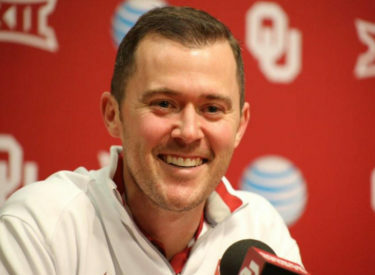 Both teams have second-year head coaches, with Lincoln Riley at Oklahoma and Lane Kiffin at Florida Atlantic. The Big 12’s opening weekend includes three games against teams from other Power Five conferences. Texas is at Maryland, Texas Tech plays Ole Miss, and West Virginia takes on Tennessee.